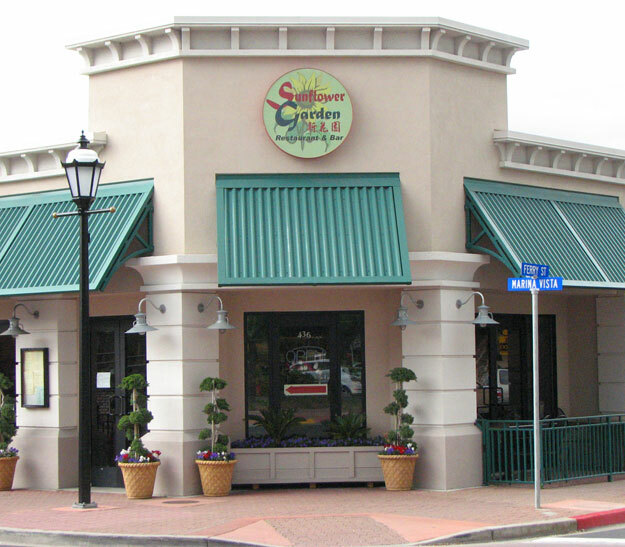 Previously located on Escobar Street, Sunflower Garden Restaurant & Bar moved into its present location, at 436 Ferry Street in Downtown Martinez in 2010, and features a beautiful large bar, outdoor seating, and fresh new dishes! Sunflower Garden is a family operated business that began in 1990 where it originated in Indiana by David, the brother of now owner Sandy Young, and Sandy herself. They lived in Indiana for about two years and managed to operate two restaurants in two different cities and accomplished their goal in having two successful restaurants. After operating in Indiana for over two years, the family decided to move back to California and opened a restaurant in Downtown Martinez. The Young siblings and Mike (the head chef) came back to the Golden State in pursuit of creating another wonderful restaurant. David noticed his sister's ambition and hardworking ethics and handed the business over to Sandy. Taking over the business, Sandy and her husband Mike have made it one of their major priorities to keep Sunflower Garden a nice, comfortable place for families and travelers to enjoy a pleasurable meal. In the years with the name Sunflower Garden, Sandy achieved these goals and excelled in creating a friendly atmosphere and making a name in the community. Sunflower Garden Restaurant & Bar provides a comfortable atmosphere with great tasting food great for families.